I would like to begin this post with an argument. 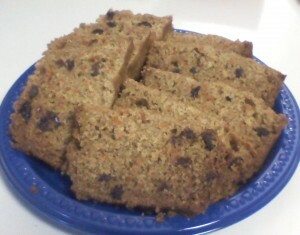 The title of carrot cake is really a misnomer. This shouldn’t be considered a dessert. It is based foremost on a VEGETABLE for goodness sake! It is a carbohydrate next and then a treat after that. It is vegetarian, kosher, can be low fat and I’d almost put the gold sticker of “healthy” on it! Based on these clear and evident facts, I would like to share with you my recipe for crock pot carrot cake. Serve it for breakfast, after lunch, for an afternoon or evening snack or just about any point of the day. Chalk it up as doing a good deed for yourself. And trust me, this tastes soooo much better than drinking v8! Mix all ingredients in a separate mixing bowl by hand. Coat a loaf pan with non-stick spray and then pour batter in. Place entire loaf pan in crock pot (use oval shaped crock pot to make it fit). Cook on high until center of cake is no longer jiggly– about 2-2.5 hours. Let cool and then shmear with whipped cream cheese or cream cheese frosting.